Originally posted: May 5, 2018 . Last modified: January 29, 2019 . 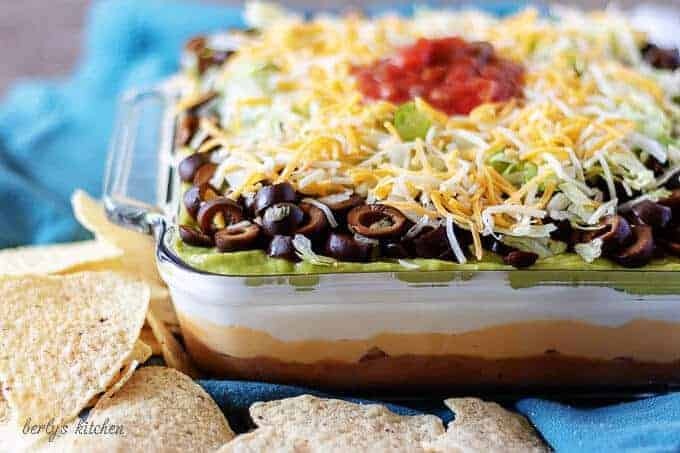 Our 7 layer dip starts with Tex-Mex favorites like savory refried beans and smooth, creamy nacho cheese. It’s the perfect party dip for any occasion and is sure to please a crowd. What can you say about a 7 layer dip? Well, for starters, there are 7 layers of Tex-Mex inspired ingredients. 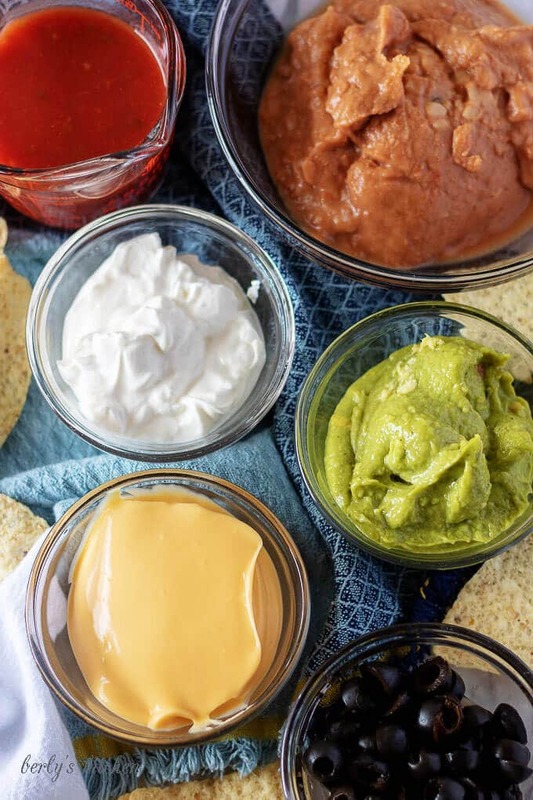 As you can see from the photos, Kim and I used refried beans, nacho cheese, sour cream, and a few other fiesta favorites to create a delicious appetizer. The best part is that only takes a few minutes to put this offering together. Also, once completed, it’s a beautiful dish that displays layer after layer of tasty of ingredients. This was one of my favorite dips to make and I am excited to share it with you. First, if using canned ingredients like us, open up all the cans and then grab a plastic spatula or butter knife. I recommend the spatula because it makes spreading the ingredients out a lot easier. Next, use a whisk and two mixing bowls to separately whip the sour cream and guacamole. Don’t mix them together, just whip them a little in separate bowls. This will make them lighter and less likely to sink into the layer below them. 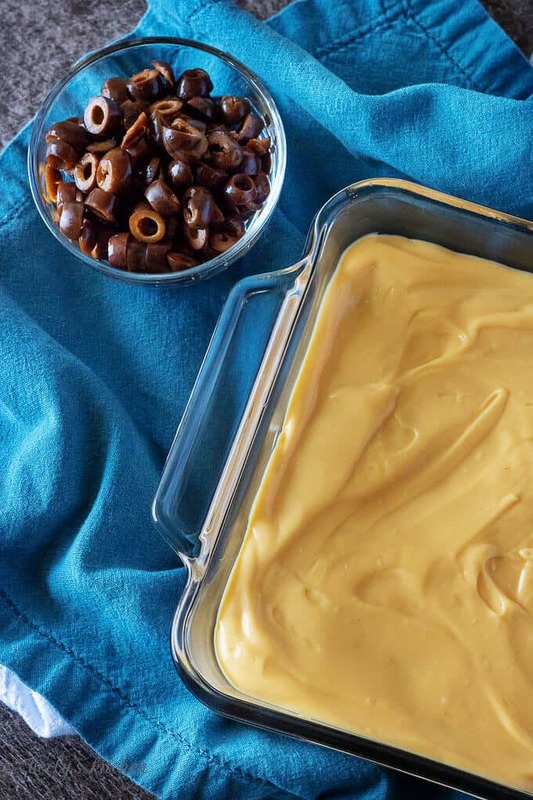 Then, grab an 8×8 inch baking dish and start layering your dip. Now, you can use a different kind of dish; however, when Kim and I tried to use a decorative glass bowl, it was disastrous. Because the bowl curved on the side, the layers didn’t lay evenly and ended up collapsing in on themselves. The end result was an unappealing mess. Last, start with the refried beans, spread them on the bottom of the dish, then add the nacho cheese, sour cream, guacamole, olives, lettuce, and fiesta cheese. Make sure to spread each layer evenly and then top the dip with salsa if you like. If your sour cream is too thick and weighs down the nacho cheese, then try whipping it before you put it in the dip. Same advice for the guacamole dip, if it’s too thick and heavy, then give it a quick whip. 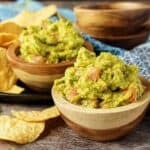 Store bought guacamole just not cutting it, then try our Chipotle Guacamole recipe. Just leave out the tomatoes and onions if you decide to use it in this dip. If you like this fiesta recipe, then try our Chicken Quesadillas or our Chorizo Enchiladas! If you like this dip recipe, please leave us a comment and rate the recipe card. You can also find us on Facebook, Pinterest, Twitter and Instagram searching for Berly’s Kitchen! 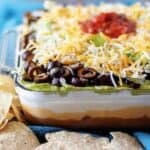 Our 7 layer dip starts with Tex-Mex favorites like savory refried beans and smooth, creamy nacho cheese. 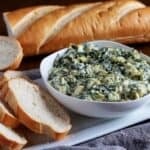 It's the perfect party dip for any occasion and is sure to please a crowd. First, if using canned ingredients like us, open up all the cans and then grab a plastic spatula or butter knife. Next, use a whisk and two mixing bowls to separately whip the sour cream and guacamole. Then, grab an 8x8 inch baking dish and start layering your dip. Last, start with refried beans, spread them on the bottom of the dish, then the nacho cheese, sour cream, guacamole, olives, lettuce, and fiesta cheese. The calories listed are an approximation based on the ingredients and does not include the tortilla chips or other dipping edibles. Actual calories will vary. 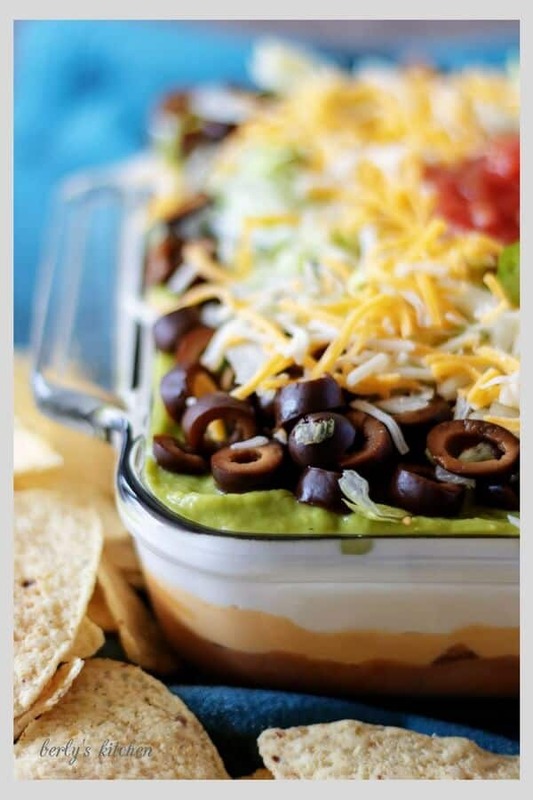 The 7 Layer Dip can be stored in a sealed container in your fridge for up to 3 days. This recipe looks great. We don’t have nacho cheese in Canada, so I guess I could use shredded cheese instead. Otherwise, I think I can get all the other ingredients to put this together. I wonder if some Taco seasoning in the refried might be nice. I can’t rate this since I haven’t made it yet, but I’ll let you know when I do. This seems so tasty yet so simple to make. I would love to have this on a movie night at home. 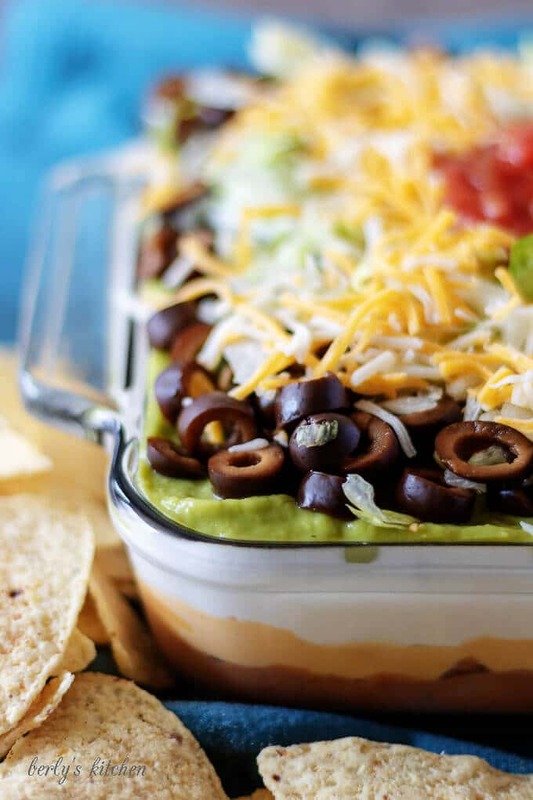 You can’t go wrong with such a flavorful, rich, 7- layer deep appetizer dip. I love it. Oh, what is Nacho cheese sauce? I don’t think I ever saw any of that here. Would I use grated cheddar instead? Love the layers and all the seasonings. Saving this for later. YUM!! Layered dips are kind of my summer jam! This looks amazing! I love the how big it is, haha! Thank you, Sam! Have a great Monday. I recently purchased refried beans, so I have all the ingredients. I’m going to make it for our next church picnic!